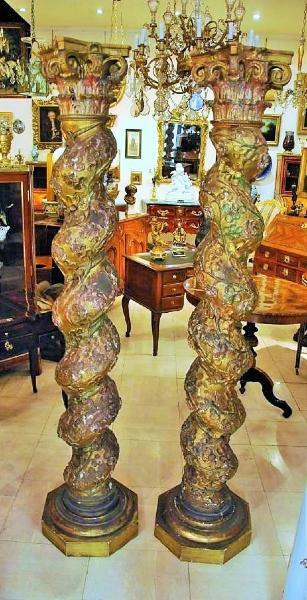 PAIR OF MAJESTIC TWISTED COLUMNS. END OF 17TH CENTURY. 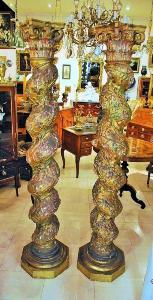 Very pretty pair of gilded and twisted columns woodmade from the end of th 17t century. 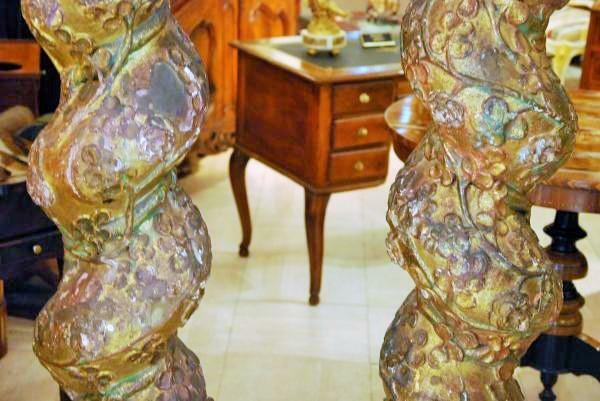 Fabulous work of the cabinetmaker which shaped these goods. We should note the work of sculpture which is proposed. 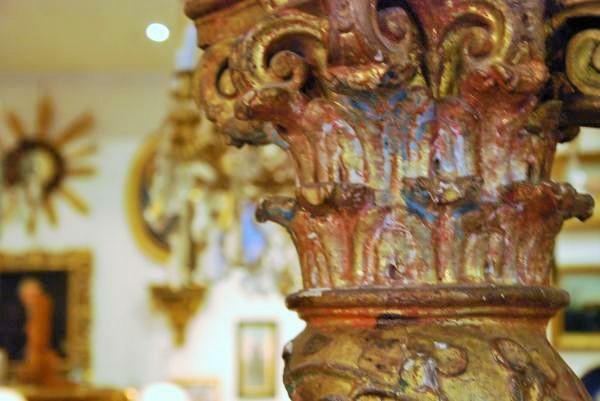 Besides the atypical shape of these columns, there is numerous floral motives which surround the columns. 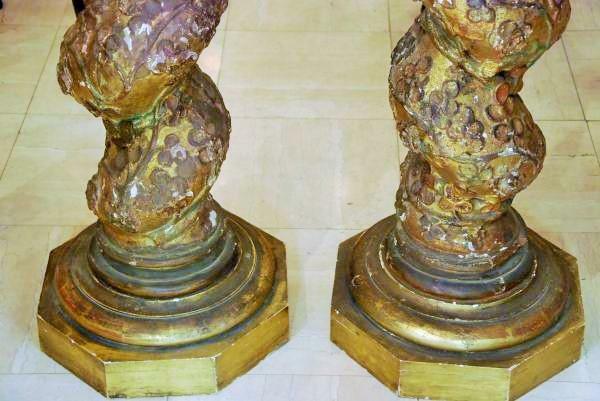 These columns are finishing in Corinthian capital gilded and sculptured in a admirable way. 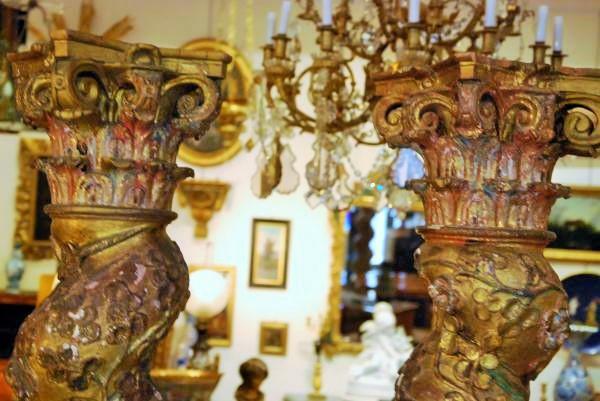 Arranged in a lounge or in the entrance of your house, these two columns will give a fabulous stamp to your interior.